(Tom Galvin) Before he was a Senate Office Building, the Sen. Everett Dirksen’s uttered one of Washington’s most famous lines when he quipped that “A billion here, a billion there, pretty soon, you're talking real money.” He was talking about, how in Congress, big-ticket projects got tossed around like Frisbees. Well, 50 years later, the price tag has jumped. We live in a world of $789 billion stimulus packages and $700 billion industry bailouts. The punch line is Government is spending a lot of money on what amounts to a credit card, and some day we have to pay it back. That’s what makes today’s report by the Technology CEO Council so interesting. For once, the topic in Washington is how to save money, not spend it. TCC, a group of leading high-tech CEOs from IBM, Intel, Motorola, Dell, Micron, Applied Materials and EMC, published a report that spells out how the Federal Government can save $1 trillion over 10 years by modernizing government operations and making it more efficient. If you want details, you can see the report here - http://www.techceocouncil.org/reports/71-one-trillion-reasons. The dirty secret of Washington is that while many industries have transformed themselves since the emergence of the Internet, government has always been late to the party. So, through a series of initiatives on green data centers, consolidation of government supply chains and digital records management, there is a lot of low-hanging fruit here. And let’s face it, we need it: we have $1.4 trillion in red ink this year alone. The most constant refrain will be “haven’t we heard this song before?” And the answer is yes, of course. Vice President Gore led a major initiative in the early 1990s, for example. But keep in mind that was pre-Internet (i.e., the browser wasn’t introduced yet). Since then, we’ve seen an explosion of new technologies and applications. Just think what cloud computing will mean for the Federal Government in coming years. It makes you wonder if they remade “The Graduate” today whether Dustin Hoffman’s character would be told the future was “Cloud Computing” instead of “Plastics.” So, Government need pay attention. This is also good timing. The Obama Deficit Commission will report back its finding in two months, and then Congress will grapple with next year’s budget, and deficit. Proposals like TCC are needed to figure out a way through the red ink – after all, a trillion here, a trillion there, and sooner or later you are talking about real money. (Sara Plotkin) Let’s face it, most people are either on team iPhone or team Blackberry. Users are loyal to their brand and somewhat competitive with one another. Monday’s announcement of the Blackberry PlayBook, a brand new tablet device, is the next step for RIM in keeping up with Apple’s innovation. While it’s true that many Blackberry users are proud owners of iPads, iPods, and Macbooks it will be interesting to see if they invest in the PlayBook as Blackberry builds its product line-up. Starting with specs, the PlayBook measures smaller at 5.1” x 7.6” x .4” compared to the iPad at 9.56” x 7.47” x .5”. The PlayBook enables Adobe Flash and is equipped with dual cameras, two features the iPad was criticized for missing. RIM intends to offer a 3G and 4G version of the PlayBook in the future, while the iPad is currently available in 3G or Wi-Fi. Blackberry smart phones will be compatible with the PlayBook, syncing everything from email to calendars to Blackberry Messenger (BBM). Much of Blackberry’s recent advertising has focused on BBM, the one strong feature they still hold over the iPhone. Both tablets have audio and video playback, as well as 1Ghz processor. The PlayBook is the most recent product from Blackberry that directly competes with an existing Apple device. The Storm, Blackberry’s iPhone rival, released to disappointing numbers and reviews in 2008. Comparing Apples to Berries the PlayBook stands to be a threat to the iPad and other tablet products when it’s released in early 2011. (Tom Galvin) Two years into President Obama’s term, and things have gotten a bit awkward for the President and the business community. Impressed by his intellect and vision, lots of would-be Republican business leaders jumped on board in 2008. Now, two years later, well, things aren’t going so well. And no industry is probably more disappointed than the tech industry, which came in with the highest expectations. After all, Obama was young, hip and relied on technology to win the election. It all started well, but between federal intervention, regulation and now the issue of tax repatriation, there is a sinking feeling that the Administration just doesn’t get it. Part of that is frustration with a team of wonks and academics has left the business community with the sense that there is no one really in the White House who ever had to actually run a business (it’s a lot different than that MBA program, after all). So, that gets us to John Thompson. Two years ago Thompson, the former CEO of Symantec, was up for the top job at Commerce. He didn’t get it, maybe cause he was just a little too successful at making money (God forbid!). Now Obama is in the soup and he’s about to do “Take Two” on his economic team. He’d be really smart to call John Thompson back, and maybe another ex-CEO or two, and ask them to come to Washington They’ve been in the business of creating jobs, so its not just a theoretical exercise for them. And if Meg Whitman’s California race doesn’t pan out like she hopes, maybe she’d be a good person to call as well. The bottom line is about the bottom line: Americans like hope, but they need jobs. And it’s time for Obama to start bringing in job experts onto his team. Calling John Thompson would be a good start. (Whitney Forster) - In an interesting historical coincidence, Wired's "This Day in Tech" reveals that Steve Jobs quit and rejoined Apple on the same day - Sept. 16. 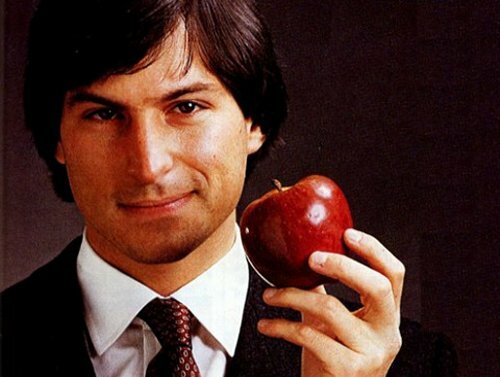 On Sept. 16, 1985, Jobs resigned as chairman of the company he founded with Steve Wozniak, Apple Computer. He did this after losing a battle for control of the company with then-CEO John Sculley (who Jobs had recruited from Pepsi). After a 12-year absence and ventures both wildly successful (Pixar) and less successful (NeXT), Jobs returned to Apple as interim CEO (or iCEO) on Sept. 16, 1997. (Whitney Forster) - It’s (primary) election day, and even though the big races in November are still months away, a few stories have the electorate buzzing. First up, the story everyone’s talking about - drama in Delaware! Tea Party-backed Christine O’Donnell overtakes Republican Party-chosen candidate, Mike Castle, in the state’s Senate Primary. Officially, O’Donnell received a tepid hug from Republicans. “Let there be no mistake: The National Republican Senatorial Committee – and I personally as the committee’s chairman – strongly stand by all of our Republican nominees, including Christine O’Donnell in Delaware,” said Senator John Cornyn. In House news, New York City’s 30-year political veteran, Charlie Rangel, cruised to victory despite facing 13 counts of violating House rules and federal laws and facing a formal House trial to decide his fate. Only in New York! Here in the District, the Post details the reasons Mayor Adrian Fenty lost his mayoral bid to D.C. City Council Chairman Vincent Gray. The article outlines how Fenty “ignored warnings, shut out confidantes and began to listen only when the race was all but lost”. Personally, what stands out to me was the national scolding Fenty received over his handling of “Snowmageddon” 2010. In a final bit of election news, and as a follow-up to yesterday’s post, Meg Whitman has wrested the big spender title from Mike Bloomberg for a new record in political ad spending. (Whitney Forster) - Can you feel the fall chill in the air? One week from Labor Day and the leaves are starting to turn, which also means that the political ad season is upon us once again. In other news, what would a political ad season be without a scandal? In California, Meg Whitman is running a now infamous attack ad aimed at Jerry Brown based on an inaccurate CNN report from 1992. And to make matters more interesting, guess where the CNN reporter who made the error is now? That would be Brooks Jackson, who heads FactCheck.org, and who issued his explanation on the site’s blog. On the bright side, all of this ad fun turns out to be good for the economy! Spending on ads is at near record levels. (David Mack) Here we go again. On Friday, Paul Allen’s patent gathering firm Interval Licensing fired off a broadside of patent lawsuits against a huge swath of Silicon Valley companies, including Apple, Google, Facebook and AOL. Todd Bishop at Seattle’s TechFlash noticed that Mr. Allen’s neighbors Microsoft and Amazon seemed to be obvious absentees from the list. When he asked an Interval spokesperson about their absence, he would not comment on litigation strategy. However, he did go on to state that, "This is the most recent step in a long process…but it is not necessarily the end of the process." While no one would argue that protection for IP is not important, commentators are already beginning to wonder why Mr. Allen has waited so long to take action against companies that are household Internet names. Was he not clear until now that they had violated the patents? One has to wonder if it could have anything to do with reports that comprehensive patent reform is inching closer to completion. Hopefully, continued lawsuits like Mr. Allen’s, and news about patent agitator Acacia’s funding bump, will reinvigorate the drive towards a patent system that can deal with the realities of 2010. The Wired cover story from earlier this week, The Web is Dead. Long Live the Internet, by Chris Anderson and Michael Wolff has received tons of attention. The thoughts for this article were born due to the changing environment of the Internet, which we all must admit is changing. One area in particular, the authors mention that is changing, is how we are connecting to the Internet. We are doing it more and more through applications rather than an the old fashion Web browser. From my own personal experience, I see this and am living it. It’s rather easy to send a tweet through Twitbird, check the weather through one of the many weather apps, and of course the baseball scores. Rarely do I find myself at home, opening my computer and typing in these individual sites into my Web browser when I have them all at the touch of my finger tips. I've seen many people on Twitter sharing the article and giving their reactions as well as several blog posts and articles questioning whether the Web is really dying. The Washington Post’s Faster Forward column, touched on the article by agreeing that applications are increasing in use but says many Web sites haven’t been designs to translate into a mobile form, creating a “competitive imbalance” that exists. The Atlantic also questions Wired’s conclusions this time around. Whether you disagree with the authors on whether the Web still has a pulse, its provocative headline and story has made for an interesting debate and news topic for the week. Read more of the debate here between Wired's Editor-in-Chief Chris Anderson and Tim O'Reilly, Founder and CEO of O'Reilly Media.